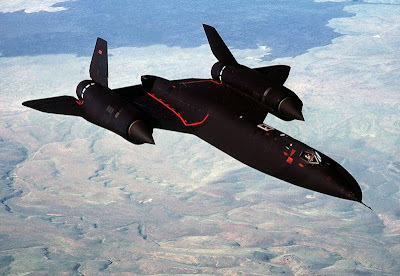 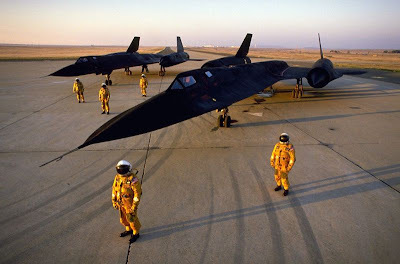 The name of this bird Lockheed SR 71 Blackbird.Equipped with air-breathing engine. 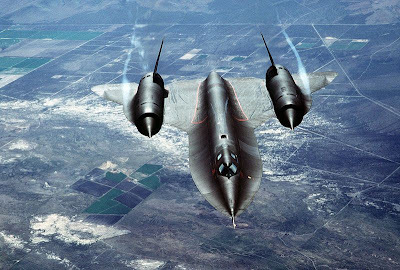 Maximum speed was registered in 1976, which amounted to 1,905.81 knots (3,529.6 km / h), which is equal to 58.83 miles per minute. 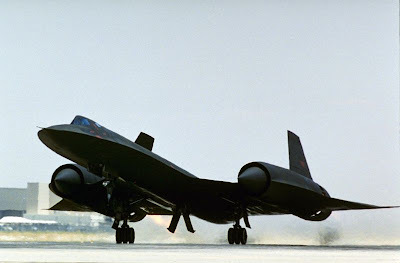 Even missiles surface-to-air is not to catch up with the Lockheed Blackbird, he had only accelerate. 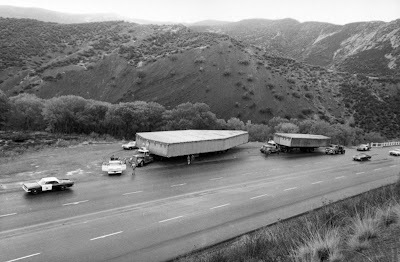 Below you will find more information about it, its history and records, which remain to this day. 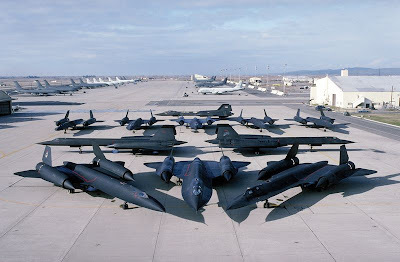 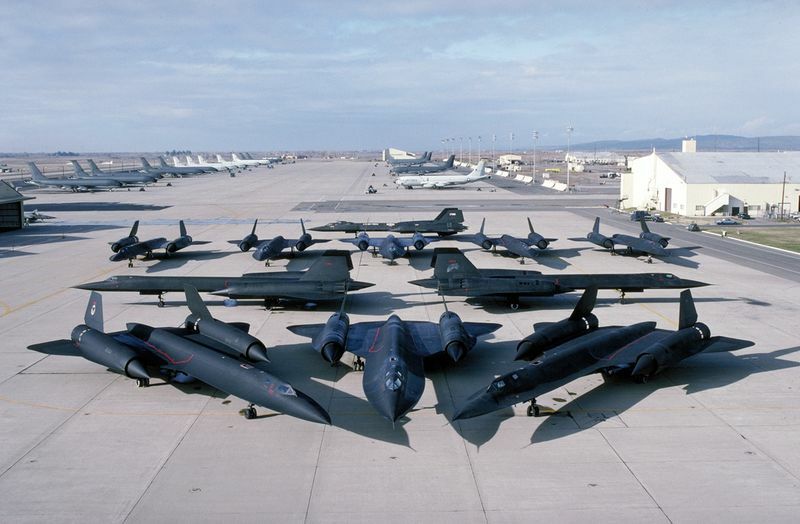 Lockheed SR 71 was in service with the U.S. Air Force from 1964 to 1998. 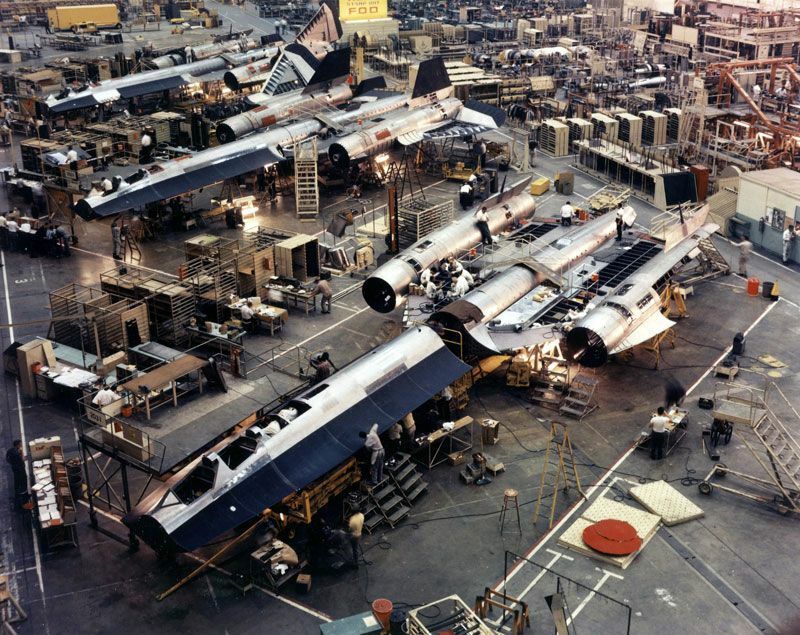 Of the 32 aircraft built, 12 were lost in accidents not related to enemy action. From 1976 he held the world record as the fastest plane. 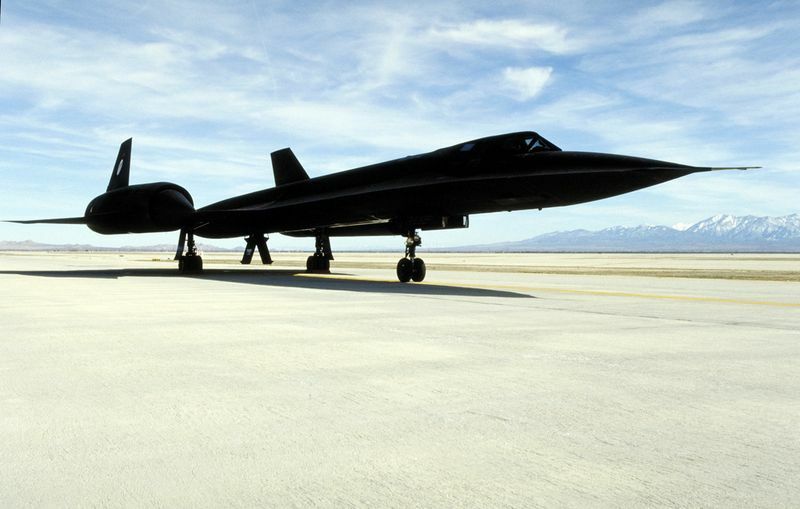 Built aircraft were painted dark blue, almost black, to increase the emission of internal heat and act as camouflage against the night sky. Dark color led to the aircraft call sign - "Blackbird". 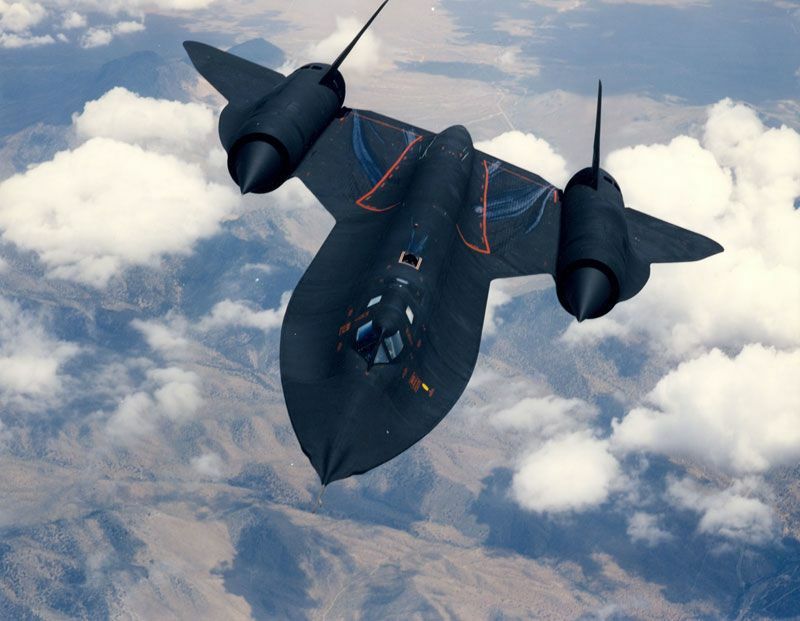 On most of the aircraft is limited to use of titanium, it is only in the components most prone to high temperatures, such as exhaust and the front edges of the wings. 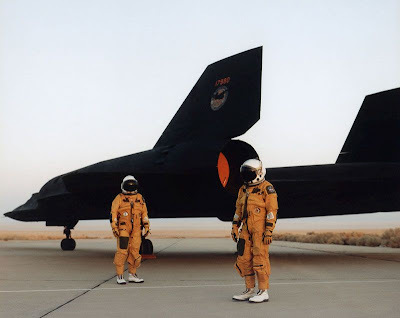 On SR 71 titanium was used for 85% of the structure with the other parts made of composite materials. 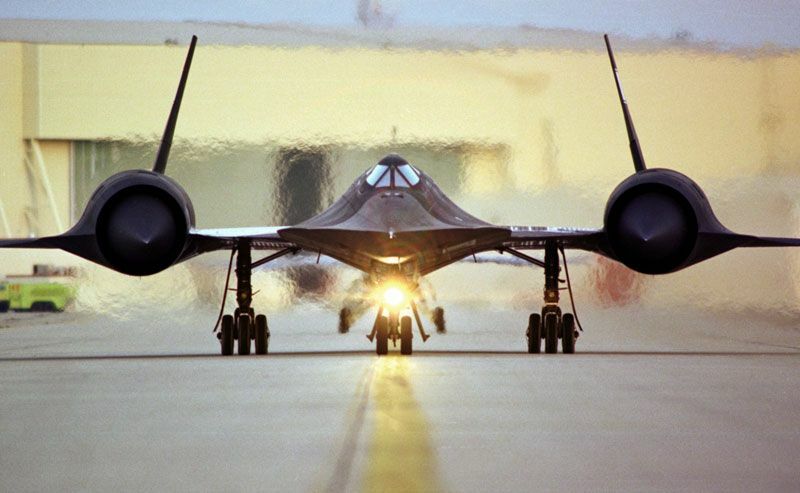 It is possible to reduce the weight, thus increasing speed. Flight at an altitude of 24.000 meters do not allow the use of standard masks, which could not provide enough oxygen above 13.000 m have been made special airtight protective helmets, which were also used on the space shuttles. Engine Pratt & Whitney J58-P4 was a significant innovation of his era - a unique hybrid, issuing 145 kN start push. 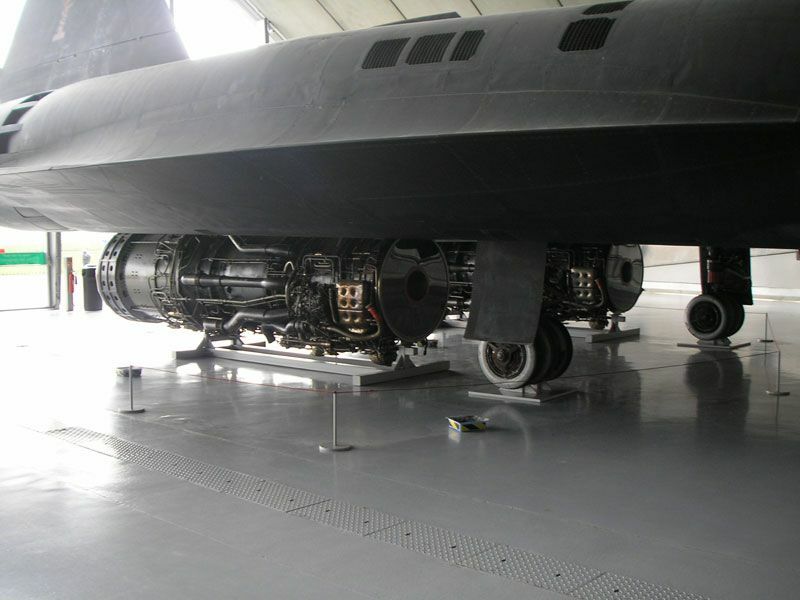 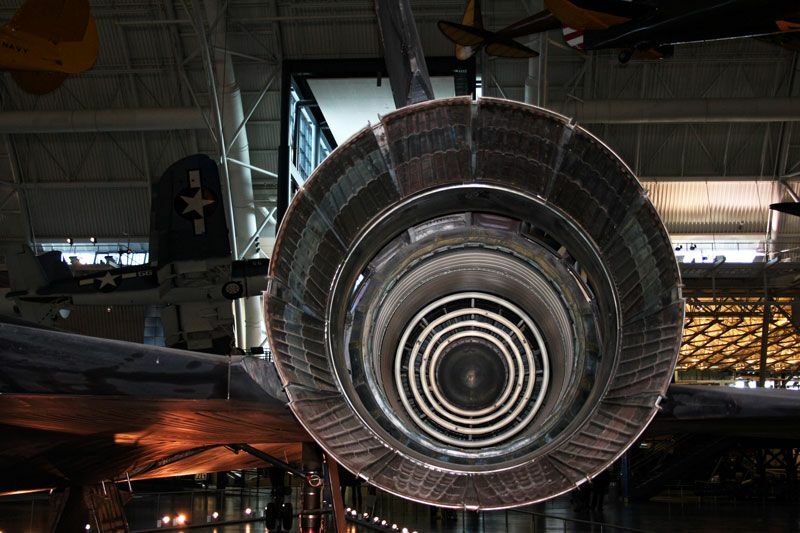 Originally engines Blackbird alternately run with an optional, starter motor. 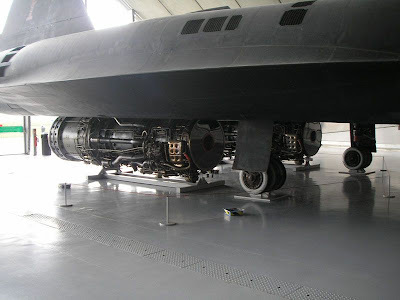 The operation was very noisy, and eventually created a quieter, pneumatic start system. 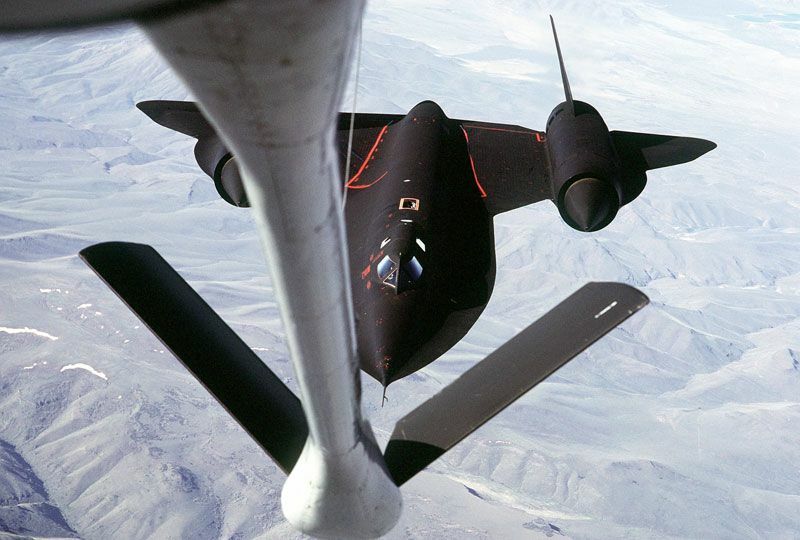 The first flight of the fastest aircraft in the world to accomplish a December 22, 1964, at Air Force Plant 42 in Palmdale, California. 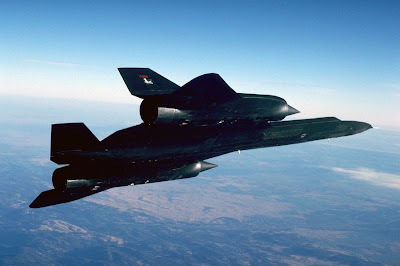 SR 71 first entered service in January 1966. 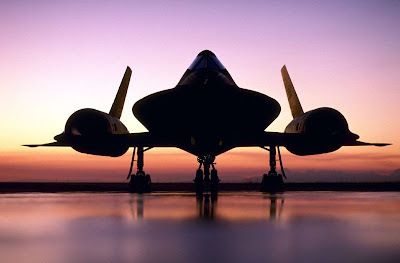 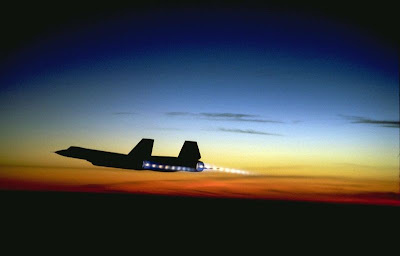 SR 71 was the fastest and most high-soaring manned combat aircraft in the world during his career. 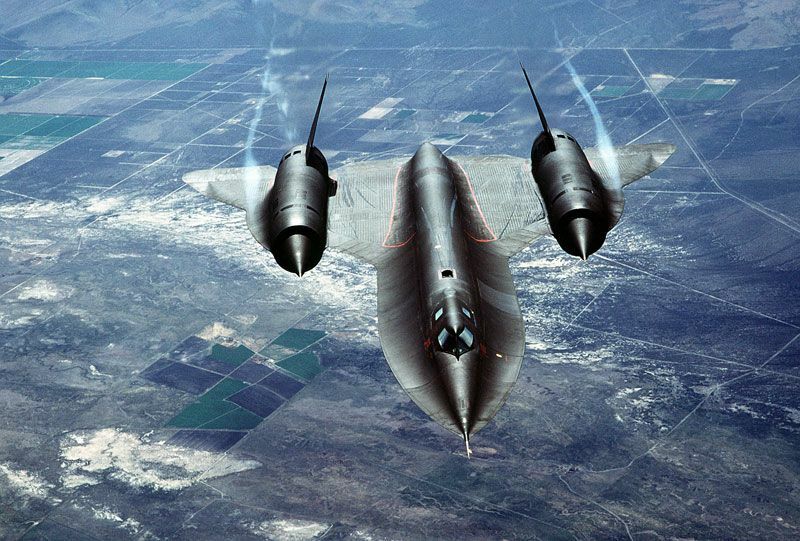 July 28, 1976 has been broken the world record for its class: an "absolute altitude" was 85.069 feet (25.929 meters). 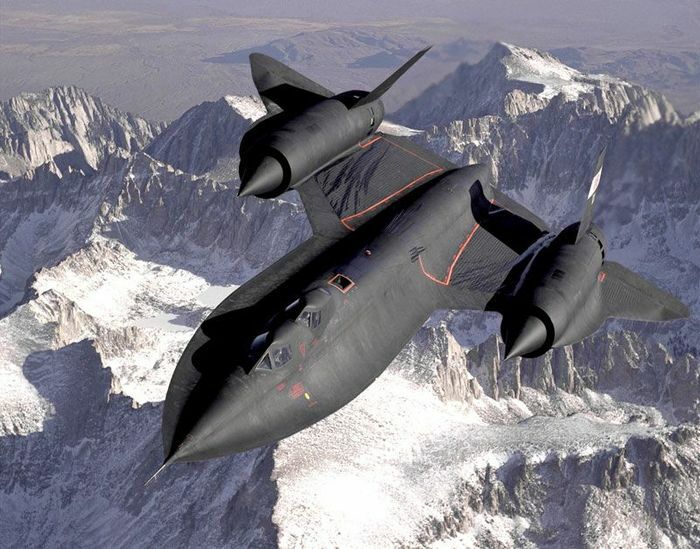 Several planes exceeded this altitude in a rapid rise, but not in a long flight. 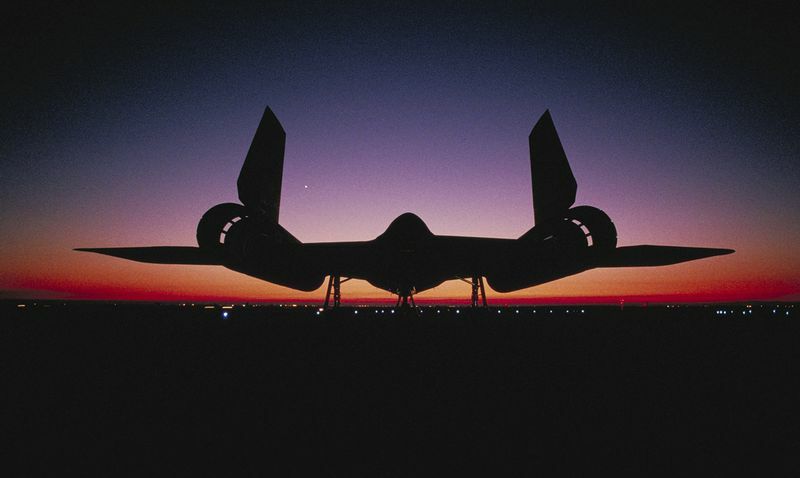 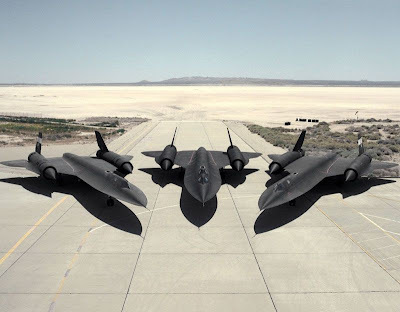 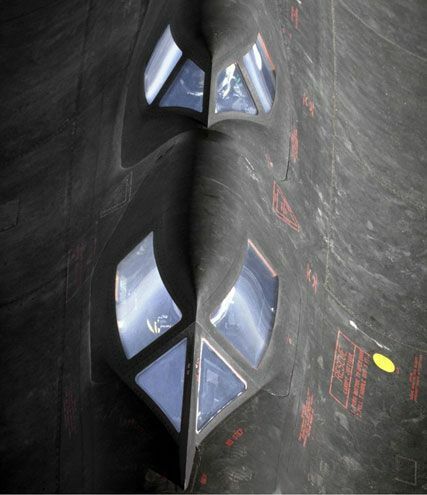 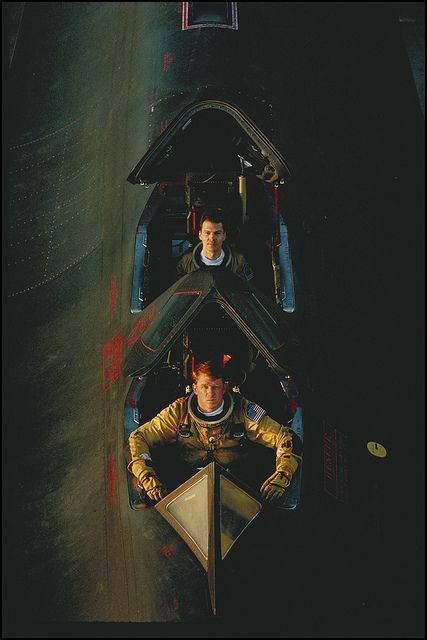 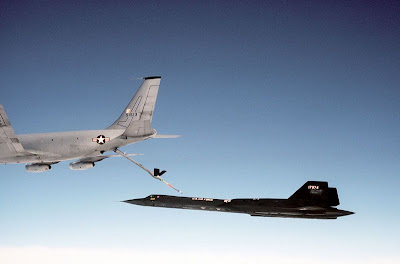 On the same day SR 71 set an absolute speed record - 1,905.81 knots (2,193.2 miles per hour, 3,529.6 km / h). Lockheed also holds the record for "Speed ​​at the specified rate", it reached from New York to London (5.646 miles) in 1 hour 54 minutes and 56.4 seconds, 1 September 1974.